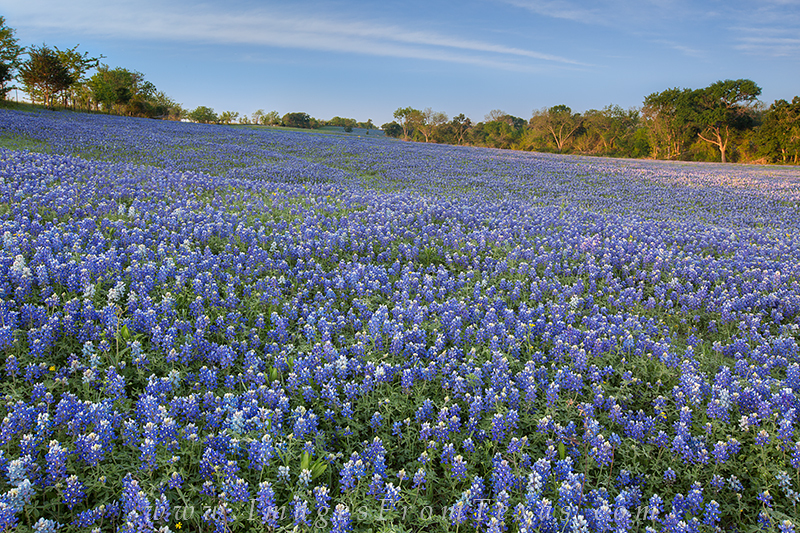 I love photographing Texas wildflowers at sunrise, and I really enjoy a solid field of bluebonnets. I found both on this morning. From a dirt road near Ennis, Texas, this bluebonnet display was a rarity in the spring of 2013, but after hundreds of miles of driving and exploring, I was glad to finally experience a landscape such as this. Photo © copyright by Rob Greebon.